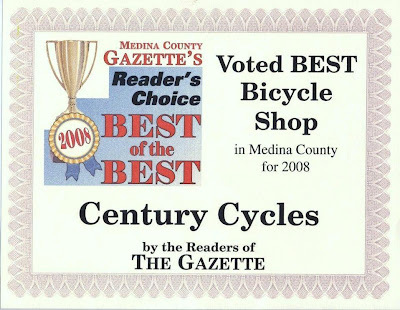 Century Cycles Blog: Century Cycles is "Best of the Best!" Tooting-Our-Own-Horn Time: Kudos to Petch and the whole Medina crew for winning this award for the fourth straight year! GREAT JOB men of Medina...you really are the BEST!! Thanks.